Neil Young’s Low-Tech New Album ‘A Letter Home’ Due in March. “It’s one of the lowest-tech experiences I’ve ever had,” he tells Rolling Stone. 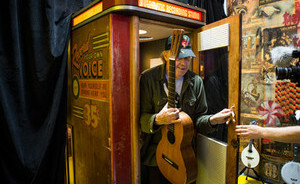 It seems likely that Young recorded the album on a 1947 Voice-o-Graph machine located at Third Man’s Nashville headquarters. Originally made in 1947, the Voice-o-Graph is the only public vinyl record recording booth of its kind left in the world. After refurbishing it, Third Man opened the booth on Record Store Day 2013 and now anyone can come in and record up to two minutes of audio that’s cut onto a six-inch phonograph disc. Young stopped by Third Man last year where he recorded a cover of Bert Jansch’s “The Needle of Death” on the Voice-o-Graph last year for a special tribute to the acoustic guitar master. 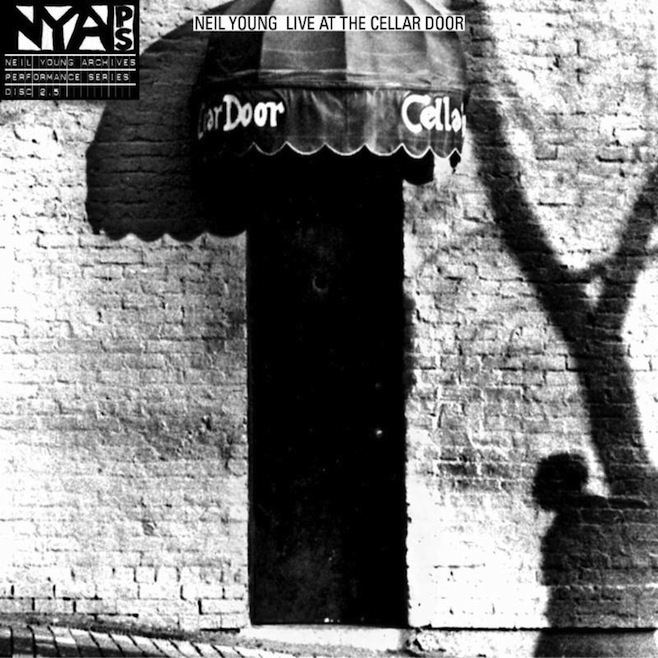 Pitchfork is announcing that Neil Young will release a new live album of six performances from 1970 at the Cellar Door in Washington D.C. The collection is scheduled to be released on Nov. 26. 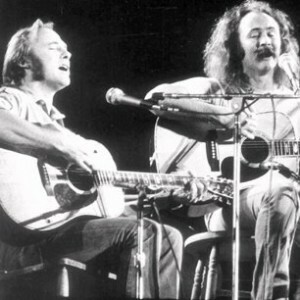 According to Pitchfork, the recordings of the performances came a few months after the release of After the Gold Rush from November 30 to December 2, 1970,. Live at the Cellar Door will be out through Reprise on CD, vinyl, and digital formats. The album features Young performing acoustic and piano renditions of songs from After the Gold Rush, as well as three versions of Buffalo Springfield songs, a solo piano take of 1969’s “Cinnamon Girl”, early takes of songs that would appear on later studio albums, and other classics. Tell Me Why, Only Love Can Break Your Heart, After the Gold Rush, Expecting to Fly, Bad Fog of Loneliness, Old Man, Birds, Don’t Let It Bring You Down,See The Sky About to Rain,Cinnamon Girl,I Am a Child, Down by the River, Flying on the Ground Is Wrong. The above quote came from Graham Nash, and he’s talking about the release of a live CSN&Y album from their 1974 reunion tour. Tentative release date is Aug. 27.